The sport of Triathlon is on the rise with three times as many races popping up across the country. The greatest increases in participation are seen in the 30+ age group as this demographic is looking for a personal challenge and a way to stay in great shape. The swim, bike, run event is cross-training at its best and offers a healthy, active and fun culture and community. Have you suggested triathlons to your clients? How about running a triathlon training group? Send this information and the information in this series to your clients to see if there is interest and then decide how you can both help your clients reach their goals with triathlon training and help yourself generate some extra revenue! When someone decides to complete a triathlon, they are often overwhelmed with where to start and how to balance three separate events. This series will provide your clients with everything they need to know to get to the finish line of a Triathlon and get in great shape through the process. Today, we finish our Triathlon Training Series. Your clients should now feel they have the tools to conquer their first Swim/Bike/Run event and the programming guidelines and training tips to reach a personal best. This column will focus on transitions and race day preparations. PRODUCT SPECIAL – SAVE OVER $150!! Want to use the same resource tool we use to generate an extra $20k in revenue each year? Get our Fitness Results Manual which is normally $499 is on sale for only $349 until August 31st! 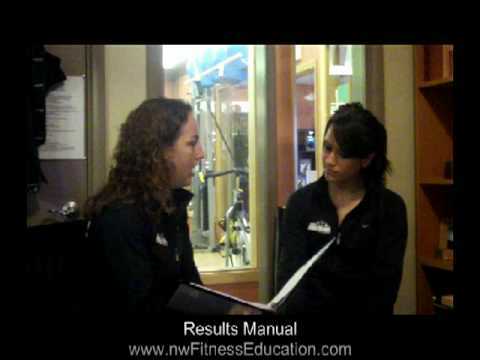 The Fitness Results Manual is the resource that we use with our annual weight loss challenge, for our corporate wellness programs and as a resource for personal training clients! Hey did you know that I wrote the ONLY complete training business system designed to help you run a million dollar personal training business?! You can have this same business system that will help you work SMARTER and generate HUGE profits like we do here at Northwest Personal Training. The fee to purchase the Business of Personal Training System can be made up within 1 month of increased PT sales and there are NO recurring franchise or licensing fees. A comparable business system in other industries would require an initial investment of tens of thousands of dollars. DON’T REINVENT THE WHEEL! Let us give YOU the systems that we know will work.